I want to introduce a concept to you. It's called herd immunity. I can already see index fingers flying up, scratching a few temples. Cows? She's talking about cows? This girl has lost her mind-- been working too many 12 hour shifts. ﻿﻿﻿﻿Let me explain. 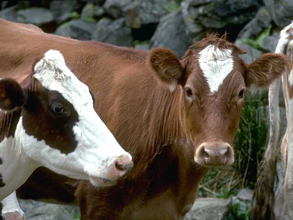 Herd immunity is the number of immunized individuals in a group (be it people or cows). It affords certain protection if the "herd" is largely immunized. Let me paint a scenario for you. Take a population of 100 people. Now, 99 of them are immunized against measles. There is a measles outbreak in the next town five miles over. Measles is highly contagious. What's the chance of measles taking hold in this community where 99% of individuals are immunized? What if the herd immunity in that town was 80%. What are the chances then? In this scenario, the likelihood of measles taking hold in the community where 99% of people are immunized is low. Dr. Paul Offitt, in his book, Deadly Choices, states that likely 95% herd immunity will protect a community against measles. In 2008, the following states all had immunization rates <70%: Washington, Vermont, Idaho, Montana and Nevada. The likelihood of a measles outbreak taking hold in those state is high. In the article above concerning Dr. Wakefield, it lists some of the ramifications of people choosing not to immunize. "The now-discredited paper panicked many parents and led to a sharp drop in the number of children getting the vaccine that prevents measles, mumps and rubella. Vaccination rates dropped sharply in Britain after its publication, falling as low as 80% by 2004. Measles cases have gone up sharply in the ensuing years." The 95% herd immunity for measles seems to hold true. "In the United States, more cases of measles were reported in 2008 than in any other year since 1997, according to the Centers for Disease Control and Prevention. More than 90% of those infected had not been vaccinated or their vaccination status was unknown, the CDC reported." But really, what's the problem with a case of measles? Why did they invent that vaccine anyway? You can read more about measles infection on the following links but one possible complication of measles infection is encephalitis (1:1000 measles cases). I was a little shocked by that number. Encephalitis is an infection in the brain. "If you're not immune to rubella and you come down with this illness during early pregnancy, it could be devastating for your baby. You could have a miscarriage or your baby could end up with multiple birth defects and developmental problems. Congenital rubella syndrome, or CRS, is the name given to the pattern of problems caused when a baby is born with the virus." I think the following paragraph lends support to the point of having high herd immunity when it come to measles. "Rubella has become quite rare in the United States, thanks to a very successful vaccination program. Before the rubella vaccine was developed in 1969, a rubella epidemic in 1964 and 1965 caused 12.5 million cases of the disease and 20,000 cases of CRS in the United States. In contrast, between 2001 and 2005, there were a total of 68 reported cases of rubella and five reported cases of CRS. And in 2006, there were just 11 reported cases of rubella and only one case of CRS." Here is the link for these quotes: http://www.babycenter.com/0_rubella-german-measles-during-pregnancy_9527.bc. How often do you hear this side when it comes to the immunization debate? What good is this for fiction? I talked to a pediatrician in our area and asked him what his current rates of immunization were. He stated he was lucky to have 50% of his kids immunized. Some of those children are now women of childbearing age. I think it would be easy to add as a pregnancy complication for any story. What about a measles outbreak? I'm going to focus on aspects of the pediatric immunization controversy that could easily be a whole novel in itself (and has been), but can add layers to novels that have a pediatric character or perhaps you want to add conflict to an issue that involves a child. Issue based novels that are preachy typically perform poorly. It has to be about characters first. A novelist who does this well is Jodi Picoult. There is generally a central issue in her novel but the characters are likely why you keep reading. One of the largest areas in pediatrics that is a main source of controversy and angst amongs parents is whether or not to immunize their child. Much of this stems from the fear that there is a link between autism and vaccines, particularly the MMR vaccine. Thus far, no credible scientific study has proven a link between autism and any vaccine. Let's start by talking about thimerosal. Thimerosal is a preservative that contained mercury that was added to vaccines. This additive has largely been removed from immunizations since 2001. It can still be found in some influenza vaccines so if you're concerned, ask your healthcare provider about it. However, did you know that since thimerosal has been removed from vaccines, rates of autism have continued to rise? I'm going to list some articles that talk about this revelation. Is it known among parents that this is the case? I'm not convinced. Unfortunately, the power of celebrity is over-riding sound medical study and research in some cases. Millions in research dollars have gone to disproving and have disproved many of these vaccination myths. The question to ask now is whether or not we should continue to investigate these myths or put these limited dollars into research that actually supports the autism community in finding a cure. Not immunizing your children has risks as well. We'll be talking about this next post. How can this add conflict to your novel? What if a child died from a disease that he could have been protected against but the parents chose not to immunize? Would that parent have guilt? Would the medical team caring for the child place blame on the parent? What are your thoughts? I am very interested in comments, however, I know there is a lot of passion on both sides of this debate. So, keep it respectful and curse word free and it will stay posted-- even if you disagree. Normally, I post the upcoming week on Saturday but I had a wee issue with a shoulder dislocation yesterday and was in a slight drug haze after the fine ER doctor put said shoulder into place. I don't know... I think since there's a lot of writers that follow this blog, I should do a book/gift card give-away for whoever leaves the best reason for the cause of the shoulder dislocation. Best comment wins and I'll decide next Saturday. Who's in to win!! Plus, I'm loving Tim Tebow's winning streak and this is another cause to celebrate. This week, since I'm already injured, I thought I'd tip my toes into a hot lava on controversy. The myths that surround immunizations. I know this is dangerous territory as both sides of the issue have passionate people that think they have the right opinion. I'm giving the medical perspective which I feel gets muted in the news by other activists. I'm interested in comments... just keep it clean and respectful and it will stay up. Looking forward to hearing your thoughts and concerns. On every crime show where a murder has occurred, there's usually a big scene with the medical examiner asserting time of death or determining the time of an injury. In pediatrics, this becomes important when we look at timing a child abuse injury so we can place who was with the child during the suspected event. The question is, can bruising give an exact time for the injury? ﻿ Bruising happens when an object comes into contact with the skin, and the small capillaries underneath break open and cause bleeding. 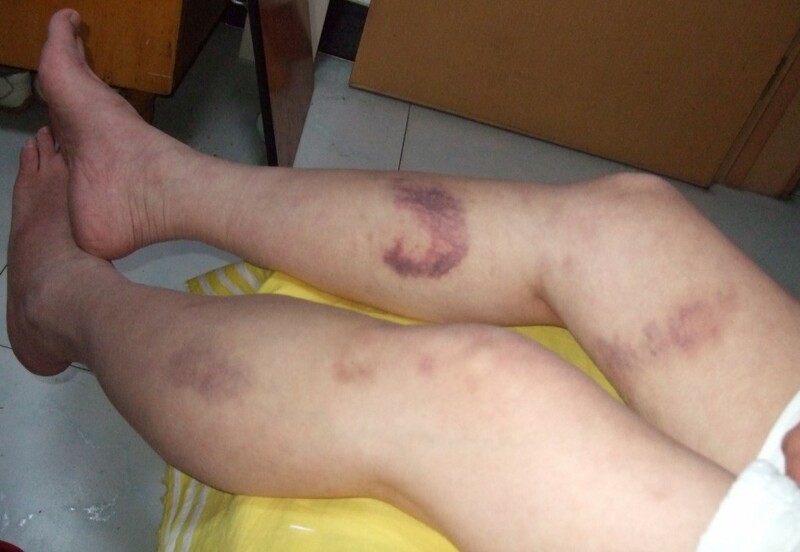 Generally, patterned shaped bruises are more suspicious for intentional injury. For something to make a pattern on the skin, it generally needs speed or velocity to imprint the pattern onto the skin. For instance, it is far different if I tap you with a belt versus swinging and slapping it down. Point blank, bruising is not a good way to determine time of injury. Bruising is influenced a lot by the individual person. Are they on blood thinners? Do they normally heal quickly? Age factors influence speed of healing as well. Bruising can give a time frame but color of bruising is also open to interpretation. Here's one set of guidelines. As you can see, 48 hours is a large time frame. In the case of pediatrics, imagine the potential of how many people could have come into contact with an infant. Interesting bruising fact: Bruises generally heal from the inside out. If you watch a bruise you have, you'll notice they become lighter at the center as healing progresses. Did you think bruises could give an accurate time frame for injury? Dr. Edwards concludes his series on anuerysms today with a look at abdominal aneurysms. The last blog in this series discussed problems with the upper (thoracic aorta) and how the condition known as a dissecting thoracic aorta can mimic heart attacks and be rapidly fatal if the wrong medication (a clot dissolving drug, for example) is given. This time we’re looking at the abdominal section of the aorta. ﻿ By far the most common emergency condition involving the abdominal aorta involves a ruptured aneurysm. An aneurysm means a ballooning. 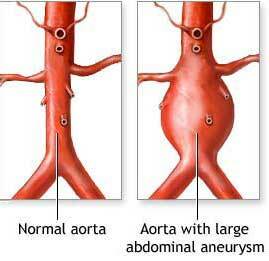 Abdominal aortic aneurysms, however, do not develop suddenly. They rupture suddenly, but the underlying problem—the development of a large bulging section—occurs slowly over years. We know that hypertension is a risk factor for this, but there are most likely hereditary factors as well. Typically the aneurysm begins in a person’s forties, fifties, sixties or later, and is often present, usually undetected, for ten years or more before reaching the dimensions (usually greater than 4 cm in diameter) where sudden rupture may occur. Many, if not most, AAA’s remain asymptomatic and never rupture. If a physician discovers one on physical exam or finds one incidentally in the course of performing an ultrasound or a CT scan for an unrelated condition and the AAA is less than 4cm, the patient can be followed by repeat ultrasounds every six months or so. When and if the AAA reaches 4 cm, then consultation with a vascular surgeon is in order to consider a prophylactic graft procedure. Unlike what happens with the thoracic aorta where a tear develops and blood channels inside the vessel wall, the AAA actually ruptures through the entire wall of the aorta and the patient can rapidly die from blood loss. Time is very much of the essence. The classic presentation of a ruptured AAA will be a patient in their seventies or eighties with a long standing history of hypertension who has the acute onset of severe lower back or possibly flank area pain which may or may not extend around to the front of the abdomen. The pain is severe and a fair percentage of the time it is accompanied by a fainting episode and low blood pressure. In some ways the pain mimics that of a kidney stone, though I have personally seen two patients with a ruptured AAA that came in complaining of feeling constipated. The diagnosis can be picked up by ultrasound or CT, but in a good number of cases, you can actually palpate a pulsatile mass in the abdomen. Emergency providers must keep a high index of suspicion for the presence of a ruptured AAA in any elderly patient with abdominal pain. If you don’t think about it, you can easily not consider it until the patient is crashing, and then it’s often too late. In general, though, it must be said that the mortality rate is very high even if the physician does everything right. 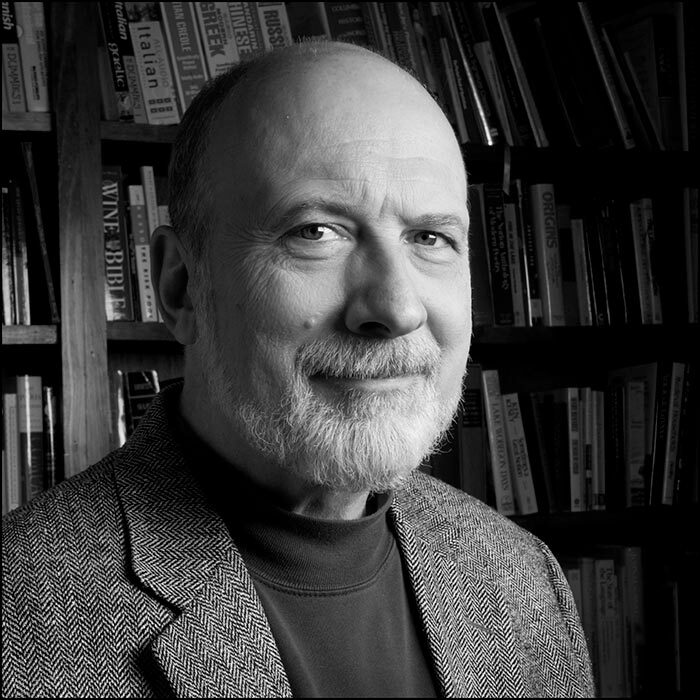 Frank Edwards was born and raised in Western New York. After serving as an Army helicopter pilot in Vietnam, he studied English and Chemistry at UNC Chapel Hill, then received an M.D. from the University of Rochester. Along the way he earned an MFA in Writing at Warren Wilson College. He continues to write, teach and practice emergency medicine. More information can be found at http://www.frankjedwards.com/. 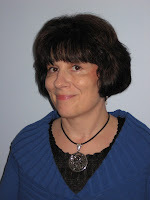 Dianna's back for her monthly guest blog. 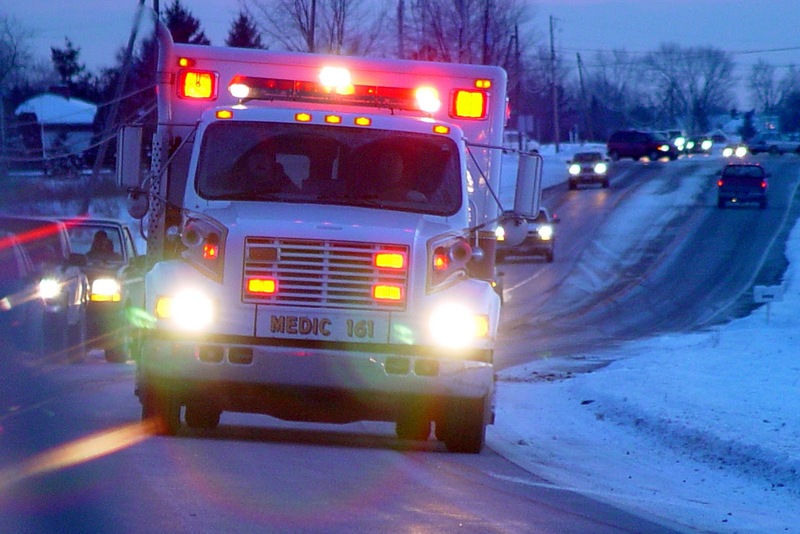 Today, she covers EMS care for a diabetic emergency. I stuff the rest of my sandwich into my mouth and gulp down some water as I rush out of the fast food joint to hop into my ambulance. As my partner signals RESCOM (dispatch) we’re en route to the above (sample) call, I speed our ambulance down the road, lights and sirens. I won’t discuss the full assessment and treatment we’d perform on a diabetic patient, but if you want clarification or further explanation for your fictional writing needs, please ask me. On scene we find first responders assisting an unconscious male sitting slumped over in a Target bathroom. No response. His eyes are half open. His pupils are dilated and sluggish. My partner and I insert a line (IV), and push one 25g AMP (ampule) of D50 (dextrose 50% in water). I attach him to our cardiac monitor via a 12-lead (ECG patches), and assess his heart rhythm and all his vital signs. He’s in normal sinus rhythm and all his vits are within normal range; however he’s slightly tachycardic (heart rate too high), but an elevated HR is the body’s defense to survive a hypoglycemic episode (low blood sugar). The patient remains unresponsive, so my partner and I push another 25g AMP of D50. Via a glucometer, we test his BGL (blood glucose level). It’s now 43. We’re headed in the right direction, but the patient is still unresponsive. 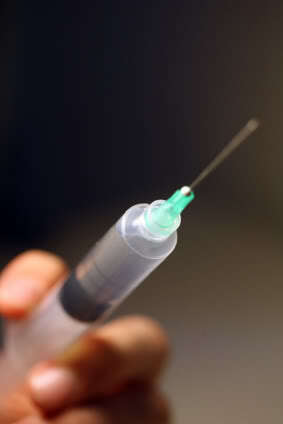 We administer 1mg of glucagon IM (intramuscular injection). Can you tell me your name?” I ask, even though I know his personal information via his co-workers. I start this line of questioning to assess the patient’s mental status. “45, huh? Have you eaten anything today?” I note the time is twenty minutes past noon. He nods as he smiles at me. 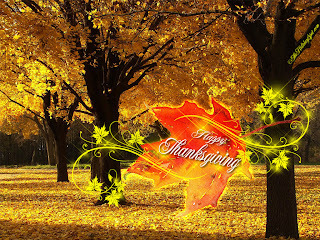 ﻿I hope it is blessed and a time of joy spent with your family. Here are the festivities I have planned at Redwood's this week. Monday: Dianna Benson's monthly EMS post. Her focus is diabetic emergencies. Friday: I'm going to start a post series on Forensic Issues. These will pop up every now and then. The focus on this piece is bruising and is it good to use for time of injury/time of death. One thing to keep in mind when you're writing a novel is that some illnesses are seasonal. So if your book covers an obvious time of year-- say the summer. 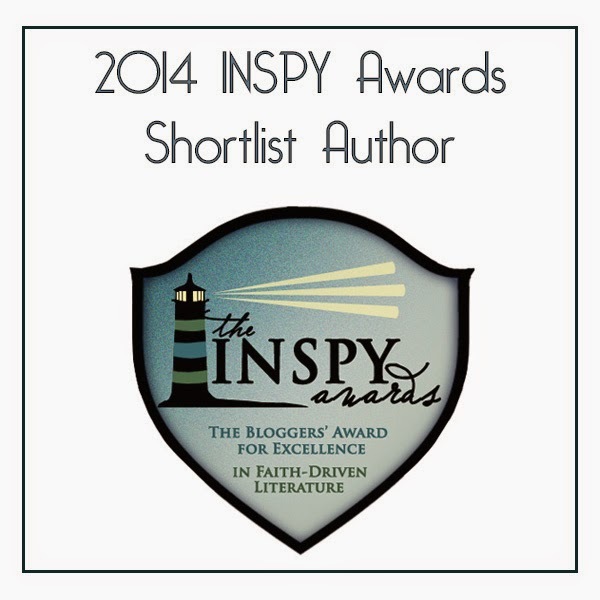 It may behoove you as an author to be aware of the illnesses that are and aren't around. Croup: AKA laryngitis. Used to be seasonal but we typically see it year round. No time restrictions needed here. RSV: The leading viral cause of bronchiolitis typically starts in late fall, early winter and lasts approximately 20 weeks. This is what healthcare professionals happily (maybe?) term "respiratory season". It means gowns, gloves and masks need to be worn for patient's that present with cough and fever. Another fact to keep in mind. Influenza: Influenza is truly a respiratory illness and not a gastrointestional (GI) one. You know an author has thoroughly checked their facts when they have a summer illness with vomiting and diarrhea and don't call it influenza. This is why flu shots are given Sept-Nov... to help prevent the transmission of this illness. Keep seasonal illnesses in mind when you're writing a novel that occurs during a specific time of year. It may behoove you to ask if that contagious illness you're killing off your characters with would actually occur during your time frame. Have you used a contagion, known or "created" in your novel? We've all heard sick people exclaim, "Watch out, I'm typhoid Mary today!" over concern of how many people they could potentially infect. I happened to be reading the book, Deadly Choices, by Dr. Paul Offitt which is a non-fiction book that talks about the effects of the anti-vaccine movement on public health. 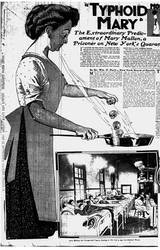 I happened to come across the true story of Mary Mallon AKA Typhoid Mary. Mary Mallon was a cook. In 1906 she was hired by New York banker Charles Warren for the summer as he vacationed with his family in a rented home on Oyster Bay, Long Island. During that summer, six of eleven people in the household became ill with typhoid fever. Since typhoid fever is spread through food and water sources, the homeowners feared they wouldn't be able to rent the property again unless the true source was discovered so they hired private investigators to look into possible causes. All roads led back to Mary Mallon and she was approached to give samples of her blood, urine and feces to look for the bacteria. To say Mary Mallon was a cooperative patient would be like saying the Tasmanian devil was a soft furry bunny. She had to be brought against her will to the hospital and though sources don't explicitly say, I'm gathering she didn't easily give up the specimens they wanted. Salmonella typhi was found in her feces and Mary Mallon became the first identified healthy carrier of salmonella typhi. This was very hard for her to understand. How could she possibly be causing these illnesses if she herself was asymptomatic? In order to prevent her from infecting others, she was quarantined to a small cottage on North Brother Island from 1907-1910. In 1909, Mary sued the health department for unlawful imprisonment but lost. In 1910, after a new health commissioner came to power, she was released under her promise that she would never take work as a cook again. January 1915, Sloan Maternity Hospital in Manhattan suffered a typhoid outbreak. It was traced back to a cook, Mrs. Brown, who was really Mary Mallon working under a pseudonym. She was quarantined for the remainder of her life from 1915-1938. She spent a total of 26 years in quarantine. The case of Typhoid Mary brings up several interesting issues. One being, what power should the state/government hold for the health of a population? I'm curious as to your answers as we'll be looking at this more when it comes to religious and philosophical exemptions to vaccines. Have you ever wondered about the origin of some symbols? 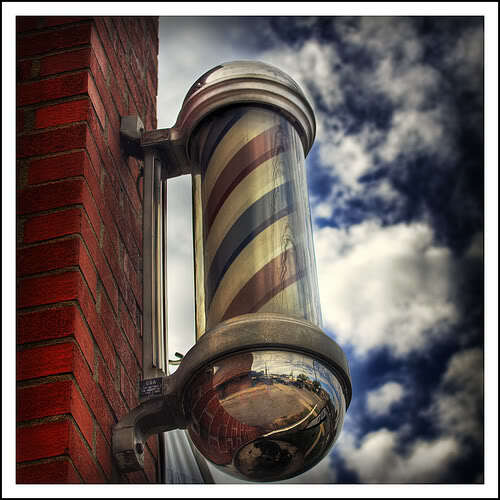 How about the infamous barber pole? Are you familiar with the role of the barber-surgeon? If you write historical fiction spanning the 13th through the 18th century, you may want to familiarize yourself with their function. ﻿﻿﻿﻿﻿﻿﻿﻿﻿﻿﻿﻿﻿﻿The practice of medicine was separated from the practice of surgery. Medical practice was generally carried out by those who went through a university program whereas surgery was considered more of a trade. The characteristic red and white barber pole with the brass bowl symbolized the basin used to collect the blood during blood-letting and the red and white stripes represented the blood and dressings. This represented members of the Barber-Surgeon Guild until 1745. Would you have been comfortable going to a barber-surgeon? If you're a historical novelist, knowing about the combined role of the barber-surgeon could be important. Hair cut and splenectomy in one stop shopping! Wednesday: The Curious Case of Typhoid Mary. Interesting story and conflict builder. What power should the government have over protecting the population from disease? 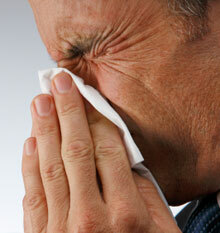 Friday: Author Beware: Seasonal Illnesses. How are your Thanksgiving preparations coming along? It isn't surprising to me that this remains the most popular post of all time here at Redwood's Medical Edge with nearly 1000 page views. This myth continues to be perpetuated in books and TV. 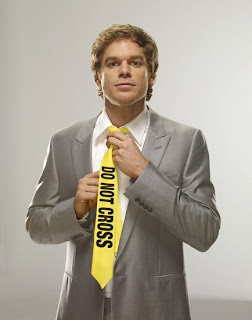 I love the series Dexter. If you're unfamiliar with it and you're a writer, I think it's a great exercise in intricate plotting techniques. However, it is violent, so proceed with caution. 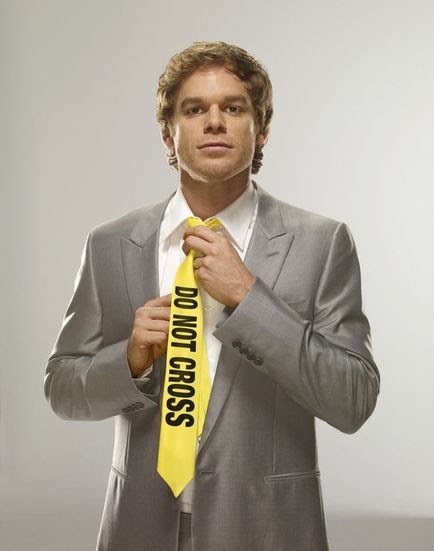 The general premise is that Dexter works for Miami Police as a blood splatter specialist. In his free time, he's a serial killer, but only kills those that the justice system doesn't put away. This show is also good study for the sympathetic villain. In one episode, poor Dexter has been in a motor vehicle collision. He is dazed and is taken to the ER. The doctor says something to the effect of, "You have a head injury. You'll need to stay awake for the next several hours." Great. Sleepiness post head injury is a classic set-up for pediatrics. Every day in the ER is a story like this. It's close to bed time. The children are running amok. Some child falls down, falls into, or falls off of something and hits their head. They cry their little heart out. After all, hitting your head hurts, a lot. After a good crying bout, they're sleepy. Parents first thought is, he must have a terrible head injury. Off to the ER. Now, one, I want to make it clear. Getting your child checked in the ER for head injury is good and reasonable. However, we aren't all that concerned with sleepiness. What we are concerned with is how arousable they are from sleep. This is what we'll be monitoring every fifteen minutes to an hour if the child sleeps during his ED visit. Level of consciousness is assessed as an indicator of an injury going on inside of the head. How arousable you are is the most sensitive indicator of level of consciousness. If the child falls asleep, and we are concerned about head injury, we'll try to wake them up every so often to assess their level of arousability. If we cannot wake them up, then we are concerned. It has to be more than a gentle nudge. You are really working to wake the patient and they won't respond. This is concerning. Remember, things that are injured need rest. This is why we put you on crutches if you break an ankle. The brain rests by sleeping. It helps it to heal. If you're a subscriber to this myth, how long should we keep the patient awake? An hour? Two hours? A day? If you want a skewed neuro exam, try doing one on a sleep deprived patient. Suspense novelists are a little consumed with finding ways to kill their characters. I'm guessing that's why this post by Kathleen Rouser was the second most popular post. Throughout the ancient world healers emerged, whether as a medicine man, priest, wise woman or physician. They were brave enough to search by trial and error to find the right cure for each malady. These practitioners, whether spurred on by superstition or curiosity, had to figure out which plants healed... and which ones harmed. The line between healing and poisoning was often quite fine. ﻿Around 1500 BC, the Egyptians wrote a dissertation on medicine and pharmaceuticals. Among many plant sources they derived their drugs from were castor seed, spices, poppy and acacia. They imported some ingredients due to the limitations of what they could grow. The Egyptians developed ways to dry, ground up and weigh these materials. Those that concocted medicines were called ‘pastophors’ and were members of a priestly profession. ﻿During the 1600s, European Jesuit missionaries in South America sent a powder back home, derived from the bark of the cinchona tree. They’d been surprised to find out that the Native Peruvians knew how to successfully treat malaria, an illness spread by mosquitoes that has killed so many. 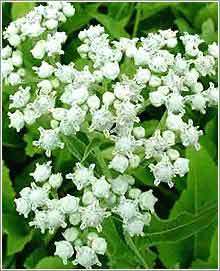 In 1820, when French chemists extracted a chemical compound from the powdered bark of the cinchona tree, they called it quinine, based on the Peruvian name for the tree, quinquina. The one year anniversary of this blog was October 31st! Now that the zombies have been put to sleep for another year, it's time to celebrate by taking a stroll down memory lane and looking at the top three most popular posts of the last year. I love hosting Sarah Sundin. She's a truly gifted novelist and I hope you'll check out her books. This post, ranked #3, struck a chord with people and I think it's the way Sarah painted the picture using her authorly ways to make this time period come alive. In the 1940s, the local drug store was more than just a place to get prescriptions filled and pick up toothpaste—it was a gathering place. 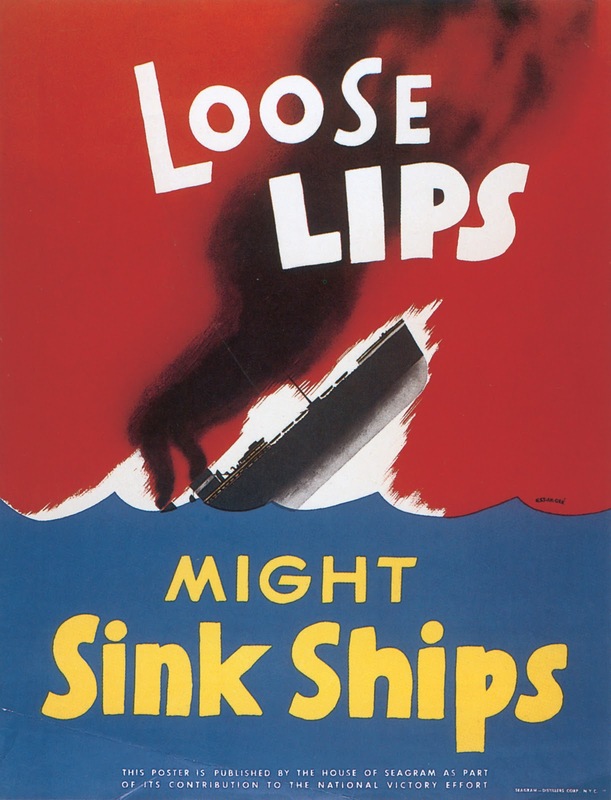 If you’re writing a novel set during World War II, it helps to have an understanding of this institution. As a pharmacist, I found much about my profession has changed, but some things have not—a personal concern for patients, the difficult balance between health care and business, and the struggle to gain respect in the physician-dominated health care world. 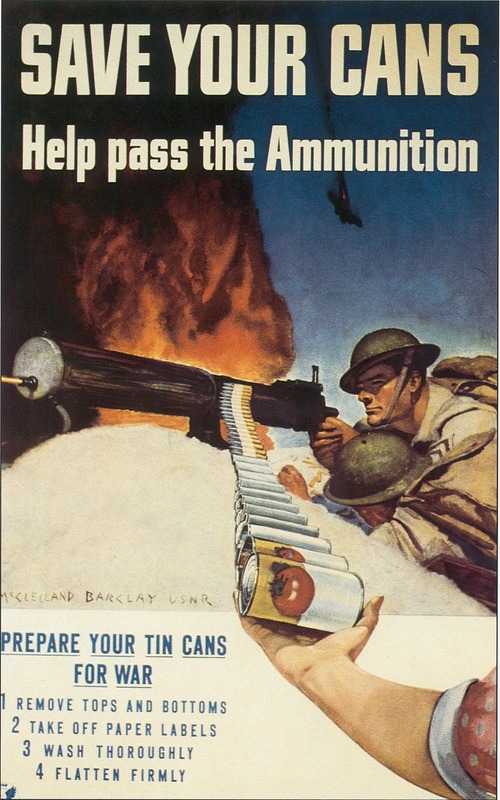 On February 14th, I discussed the role of the pharmacist in the 1940s, today I’ll describe the local drug store and how its role changed during the war, and on February 18th, I’ll review the rather shocking role—or lack thereof—of pharmacy and pharmacists in the US military. Perkins’ Drugs stands on the corner of Main Street and Elm, where it’s stood all your life. Large glass windows boast ads for proprietary medications and candy, and a neon mortar-and-pestle blinks at you. When you open the door, bells jangle. The drug store is open seven days a week, sixteen hours a day, so you know it’ll always be there for you. To your right, old-timers and teenagers sit at the soda fountain on green vinyl stools, discussing politics and the high school football game. The soda jerk waves at you. You pass clean shelves stocked full of proprietary medications, toiletries, cosmetics, hot water bottles, hair pins and curlers, stockings, cigarettes, candy, and bandages. You know where everything is—and if you can’t find it, Mr. Perkins or his staff will be sure to help you. The owner, Mr. Perkins, is hard at work behind the prescription counter with good old Mr. Smith and Mr. Abernathy, that new young druggist Mr. Perkins hired last year. Mr. Perkins greets you by name, asks about your family, and takes your prescription. He has to mix an elixir for you. If you don’t want to wait, he’ll be happy to have his delivery boy bring it to your house. But you don’t mind waiting. You have a few items to purchase, and you’d love to sit down with a cherry Coke. Perkins’ Drugs still stands at the corner of Main Street and Elm. 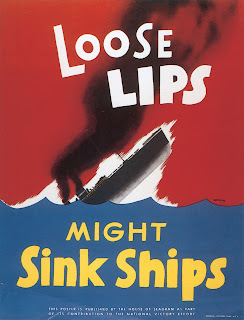 Large glass windows boast Army and Navy recruitment posters and remind you that “Loose Lips Sink Ships.” The neon sign has been removed to meet blackout regulations. The store is open for fewer hours since Mr. Smith retired and Mr. Abernathy got drafted. Mr. Perkins hired Miss Freeman. Not many people are thrilled to have a “girl pharmacist,” but if Mr. Perkins trusts her, that’s good enough for you. Perkins’ Drugs and Quality Drugs on the other side of town alternate evening hours so the town’s needs are met. A placard on the door reminds you that Perkins’ Drugs is authorized by the Office of Civilian Defense as a pharmaceutical unit, meaning the store will provide a kit of medications and supplies for the casualty station in case of enemy attack. You pray the town will never need it. Bells jangle when you open the door. The soda fountain is closed. Mr. Perkins can’t buy metal replacement parts for the machine, the soda jerk is flying fighter planes over Germany, and sugar is too scarce a commodity. A barrel stands by the door. You toss in five tin cans, washed, labels removed, tops and bottoms cut off, and flattened. Mrs. Perkins at the cash register thanks you. You pass clean shelves with depleted stocks. Proprietary medications, cosmetics, toiletries, and medical supplies remain, but rubber hot water bottles, silk and nylon stockings, hair pins and curlers, candy, and cigarettes are in short stock—or unavailable. Most of the packaging has changed. Metal tins have been replaced by glass jars and cardboard boxes. You pick up a bottle of aspirin and a tube of toothpaste, double-checking that you brought your empty tube. Without that crumpled piece of tin, you couldn’t purchase a replacement. Tin is too dear. At the prescription counter, Mr. Perkins greets you by name and asks about your family. Miss Freeman gives you a shy smile and you smile back. There’s a war on and women have a patriotic duty to do men’s work so men are free to fight. Mr. Perkins frowns at your prescription for an elixir. He’s used up his weekly quota of sugar, and his stock of alcohol and glycerin are running low. Would you mind capsules instead? Of course not. Mr. Perkins phones Dr. Weber and convinces him to change the prescription. Mr. Perkins can’t have the prescription delivered—he doesn’t qualify for extra gasoline and he couldn’t find a delivery boy to hire anyway. You and Mr. Perkins discuss war news as he sets up a wooden block with little holes punched in it, then lines the pockets with empty capsule halves. He weighs powders on a scale, mixes them in a mortar, then fills the capsule shells. After he sets the capsule tops in place, he puts the capsules in an amber glass bottle with the familiar Perkins’ Drugs label. Mr. Perkins thanks you for your purchase, and you thank him for his service. War or no war, you know Perkins’ Drugs will always be there for you. My main source was this excellent, comprehensive, and well-researched book: Worthen, Dennis B. Pharmacy in World War II. New York: Pharmaceutical Products Press, 2004.
http://www.lloydlibrary.org (Website of the Lloyd Library and Museum, which has many articles and resources on the history of pharmacy). 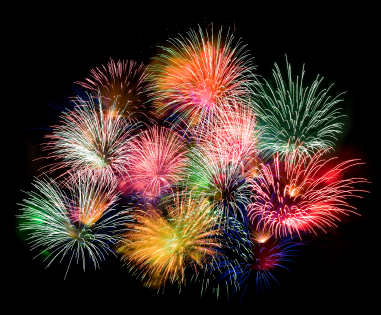 This week we're celebrating Redwood's Medical Edge's one year anniversary!! Thanks to all of you who visit, comment, follow and subscribe. Your support really does mean a lot to me! This week we're taking a stroll down memory lane by looking at the three most popular posts of the first year. Do you think you know what they are? Also, I'll be over at Christian Mama's Guide on Wednesday talking about those pediatric nursing topics. Hope you'll stop by and leave a comment. I ran across these guest posts by Eleanor Sullivan over at The Writer's Forensic Blog which were excellent and a good resource for the historical authors that follow here. They are must read as I learned a lot of fascinating facts. To supplement, I thought I'd add a few words to her list of terms that were used then and what they mean. 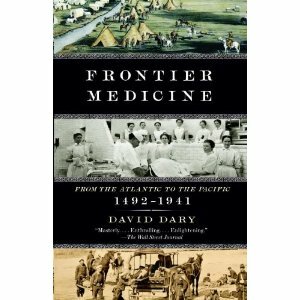 These are referenced from Frontier Medicine by David Dary which is another excellent resource. Acute Indigestion: listed as a cause of death. Probably a heart attack. This is interesting as in modern medicine, women can present quite differently from their male counterparts when they are suffering from heart attack. One of these symptoms can be indigestion. Barber's Itch: infection of the hair follicles of the face. Black Fever: Rocky Mountain spotted fever. Domestic Illness: polite label for mental breakdown, depression, or the aftereffects of a stroke where a person was housebound and in need of regular nursing. Today concludes Sarah's four-part series on contemporary pharmacy. I've certainly enjoyed having her back and can't wait for her return. Today she focuses on the hospital pharmacist. Fiction writers do mean things to their characters. If those mean things require pharmaceutical care, you may need to introduce a pharmacist character or understand how pharmacies work. As a pharmacist myself, I want to help you get those details straight. Today’s article discusses practice in the hospital setting. Previous articles discussed an overview of the profession, pharmacy education and training, and practice in the community pharmacy setting. About 22% of pharmacists work in America’s 5800 hospitals. These can range from the small community hospital with a few dozen beds, to large teaching hospitals with thousands of beds. The traditional hospital pharmacy is “in the basement,” away from the main hospital area. As pharmacists have become more involved in patient care, some larger hospitals have opened satellite pharmacies on the floors. To deliver medications, hospitals use employees, vacuum tube systems, dumbwaiters, or even robots. Access to the hospital pharmacy is restricted to pharmacists and pharmacy technicians, and briefly to nurses, administration, housekeeping staff, and delivery personnel under pharmacist supervision. The typical hospital pharmacy is divided into work areas. One area contains computers and reference materials for pharmacists entering medication orders. A narcotics room contains all the controlled substances, usually in a secure cabinet accessible only by password or biometric scan. A “cart-filling” area contains medications as well as the large carts that will be filled with a daily supply for each patient. The IV room contains laminar flow hoods for sterile preparation of intravenous medications. There is also room for bulk storage and tables for breaks and meetings. Offices are provided for the director of pharmacy and others. In the inpatient setting, medications must be available twenty-four hours a day, every day of the year. Therefore, the largest hospitals are always open. Smaller hospitals may have off-site pharmacists enter orders electronically after hours, while nurses obtain the medications from automated systems. On average, a hospital pharmacy employs ten pharmacists and about twice as many pharmacy technicians. Directors of pharmacy must be pharmacists by law, but they usually perform administrative duties only. Opportunities for part-time or on-call work abound. Most employees work odd hours, including evenings, weekends, holidays, and graveyard shifts. Those in administrative or purely clinical jobs may work traditional hours. Dress codes vary, but most pharmacists dress professionally—men wearing nice pants and shirt, with or without a tie, and women wearing a nice top with dress pants or a skirt. Technicians tend to more casual clothes, often jeans or scrubs. Lab coats may or may not be worn within the pharmacy, but are preferred when the personnel go to the floors. In the hospital setting, the long-sleeved knee-length lab coat is most common. Physicians’ medication orders are transmitted to the pharmacy electronically or by fax. Many hospitals have the physicians enter the orders themselves to prevent errors due to illegibility. A pharmacist checks if the drug and dose are appropriate for the patient’s condition, age, and weight, and checks for potential problems due to allergies, drug-drug interactions, or drug-disease interactions. Many hospitals have protocols that allow pharmacists to adjust doses for certain drugs. Technicians then pull a day’s supply of the new medications to send to the floors. Most medications in hospitals are “unit-dosed,” with each dose individually packaged in blister packs and labeled with drug name, strength, manufacturer, lot number, expiration date, and bar code. 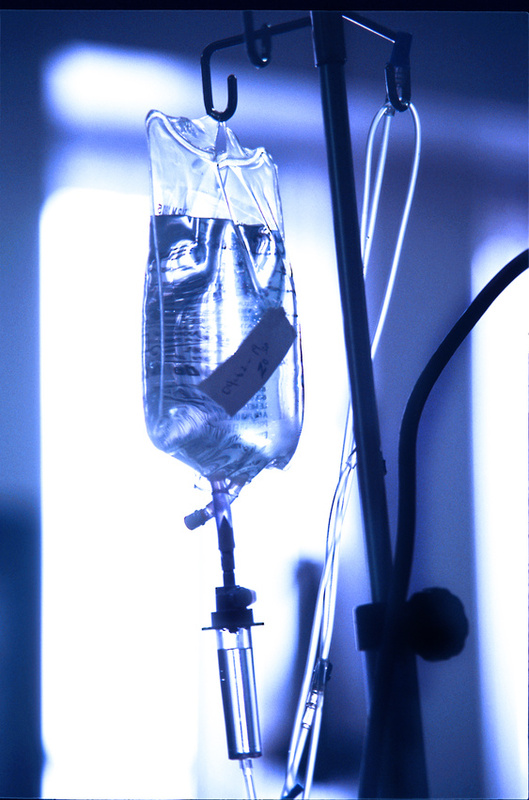 Most hospitals supply medication on a 24-hour basis. Large carts contain drawers for each patient, which are filled with a 24-hr supply of medications and delivered once a day. 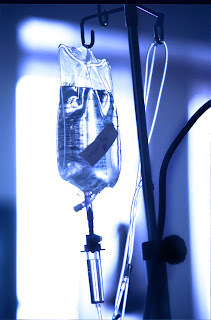 Intravenous medications are batched, with a 24-hr supply sent up once a day. Exceptions are made for drugs with low stability or high cost. 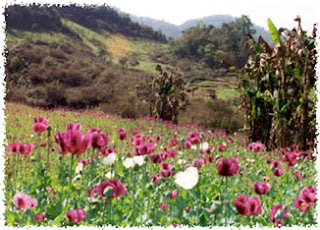 As medications are changed, only the new medications need to be sent up. Automated dispensing machines on the floors provide nurses access to emergency medications, stat doses, or after-hours doses. These machines are also used to dispense controlled medications, as they require passwords or biometric scans. One special function of the hospital pharmacy is mixture of intravenous (IV) solutions and total parenteral nutrition (TPN). These require calculations, training in sterile technique, and the use of a laminar flow hood. A growing and cherished role in hospital work is clinical pharmacy, the direct interaction with physicians, nurses, and patients to optimize pharmaceutical care. Pharmacists in a clinical role monitor lab values, read patient charts, analyze the patient’s condition and current care, and make recommendations individualized for the patient. Clinical pharmacists can improve patient care, reduce length of stay, decrease side effects, and even reduce costs. Hospital pharmacy personnel work behind-the-scenes in a fast-paced, often-interrupted, and frequently stressful environment. However, they take pride in working with complex medications for critically ill patients, knowing they do their best to improve patient care and reduce medication errors. Bureau of Labor Statistics, U.S. Department of Labor, Occupational Outlook Handbook , 2010-11 Edition, Pharmacists, on the Internet at http://www.bls.gov/oco/ocos079.htm (visited October 17, 2011). The winner of our zombie comment contest is: Amanda Stephan!! Congratulations Amanda. You won David L. Moody's book Autumn: The City and K. Bennett's book Pay Me In Flesh. E-mail your address to me at jredwood1@gmail.com to claim your prize! Deadline is Saturday or another winner will be chosen.